Make no mistake about it, it takes a different type of animal to work at a startup. To be successful in a startup environment it requires a number of different unique traits that not every candidate that looks good on paper possesses. 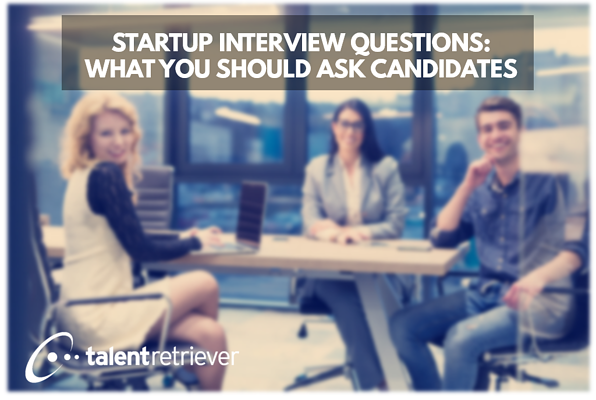 Here are some critical questions to ask and past experiences to discuss during the interview process to make sure you hire the type of person that will thrive within a startup. That can be a frustrating scenario, and the key is being flexible. Working at a startup requires adjusting on the fly and handling situations that are unpredictable. If they have experienced that type of situation were they able to accept that change and embrace it, finding a way to make it successful, or did they just begrudgingly get through it? This is especially important to uncover for candidates coming from larger companies where there’s more structure and formality in place, and there hasn’t necessarily been a need to be consistently flexibile. Building off exploring flexibility, it’s also important to see how they adapt to wearing multiple hats, and if they have a true entrepreneurial DNA. It’s important for them to buy into the vision of the company and the CEO. This requires embracing change and not holding onto how things were done in past ventures as if they’re golden rules. If an employee is consistently saying “in my last company we did this to solve that” it might indicate they’re not naturally comfortable with trying new things. Obviously, you learn from past experiences and should take those lessons with you, but there is difference between remembering those lessons and looking to replicate practices. Look out for this in the recruiting process as a potential red flag. This is a great way of asking, can you make lemonade out of lemons? Working at a startup means not everything is going to be easy and in front of you. But at the end of the day you have to get $#!& done. Flexibility and creativity can only get you so far, it must also be coupled with initiative. Confidence is king, and being confident allows you to do all these things – be flexible, execute on tasks, trust the entrepreneurial spirit. It’s the magic sauce of working at a startup. This question shows a willingness to not only come up with ideas, but defend those ideas and implement them.